Spain and Morocco are famous for their saffron, but Italy, too, produces saffron of the very finest quality in Abruzzo and in Monreale, Sardegna. 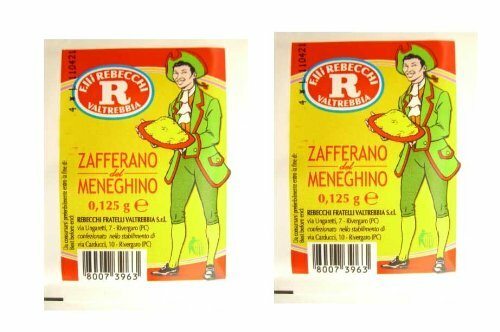 Saffron lends its thick fragrance and brilliant color to a wide variety of traditional Italian dishes from seafood soups to Risotto Milanese.Zafferano del Meneghino. If you have any questions about this product by Rebecchi, contact us by completing and submitting the form below. If you are looking for a specif part number, please include it with your message.